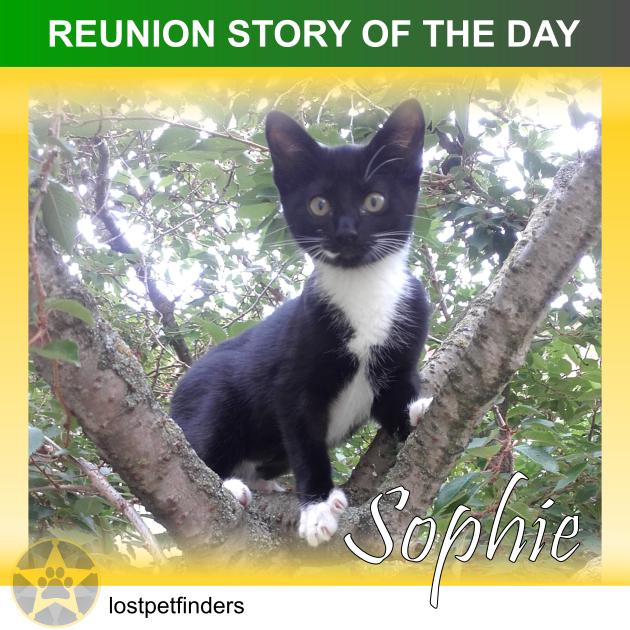 "We would love to say a big thank you to all those watching out for Sophie and for your good services! We have had her for about 5 months from the Cat Protection League and she is 8 months old. 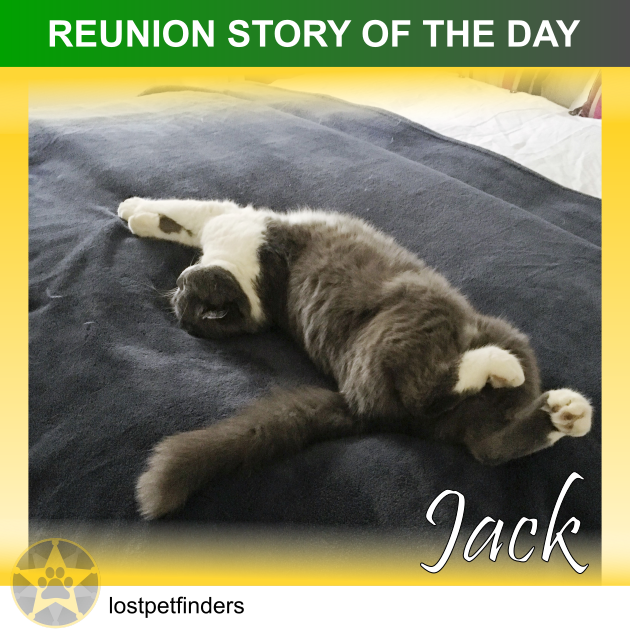 A most affectionate, loveable , sensitive and intelligent little cat. 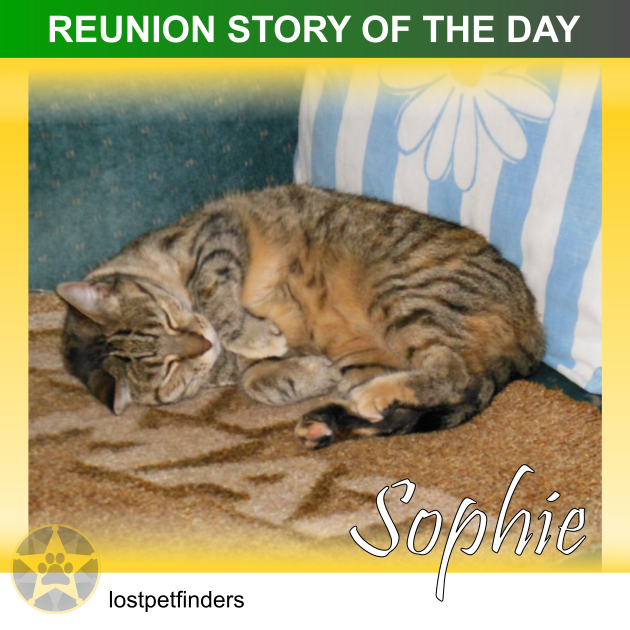 Sophie disappeared through her cat flap last Friday night. She was not herself and I believe it was because her main care giver had to go away for a meeting a day or so before, for 12 days. I’m sure it stressed and unsettled her. The strain and anxiety for us was horrid to say the least, especially fearing she was hurt and suffering. We got posters put up everywhere and alerted neighbours and friends - and some ‘in the know’ put her onto Lost Cat services for us. The love and support and reassuring stories from friends and services was amazing. 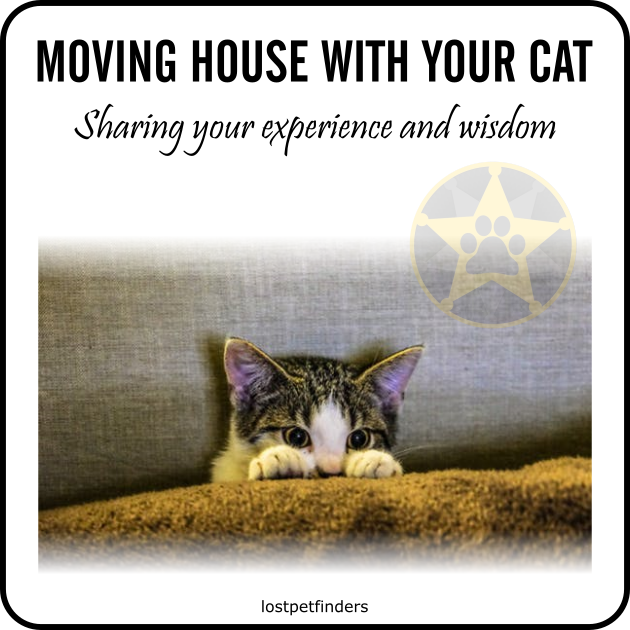 We heard many stories about how others felt when their cat was missing and got hope through this that their cats sometimes just went walkabout. She came home on Monday night about 10.30pm through the cat flap. We rang the neighbours earlier to search their large property and sheds again as she was last seen walking on top of the wall by one of the occupants. 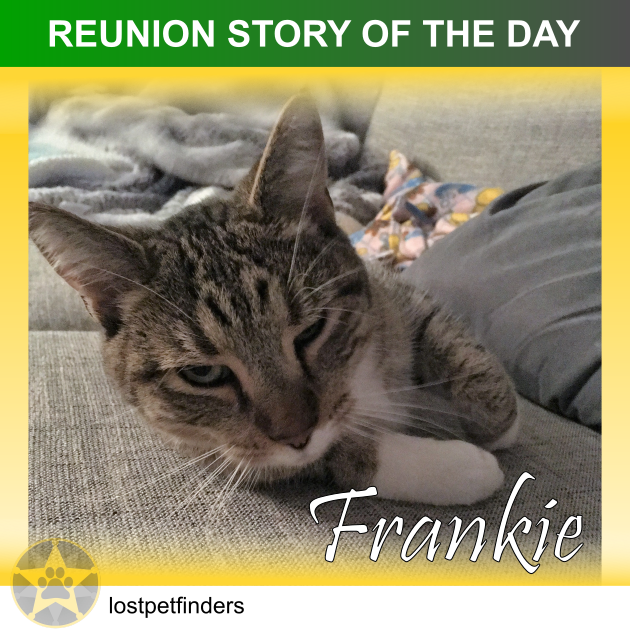 We think this may have unearthed her hiding place or may have been accidentally locked in. Our welcome when she was discovered was over the moon! She was thinner, very hungry and thirsty and wouldn’t let us out of her sight. She just wanted to cuddle up and cried out until she tucked up with one of us all that night. Thank you for your interest and kindness and helping others in time of distress. Attached is a favourite photo of Sophie not long after we got her. She is just as she looks!" - Love and gratitude from the Carmelite Sisters.